Spain's La Liga plans to stage a match in the United States, its first venture outside Europe, as part of a north American expansion drive, the league said Thursday. 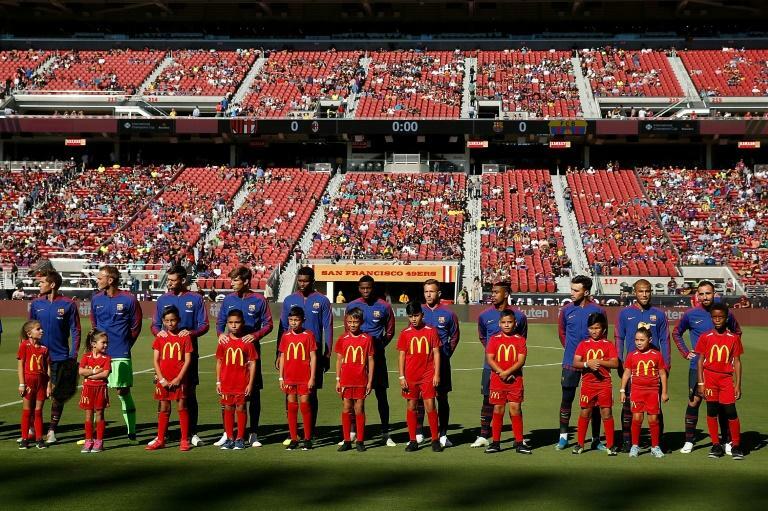 The plan was immediately attacked by Spain's professional footballers union (AFE) which released a statement saying neither players nor fans had been consulted. "As usual, La Liga ignores the opinion of footballers and commits them to events which only benefits (La Liga) without taking into account the health of the players and the risks involved for them..." the statement said. La Liga has been criticised in the past for its overseas expansion plans, notably for authorising a morning kick-off for the Barcelona-Real Madrid "Classico" last December to cater for the convenience of television viewers in Asia. The North American move further confirms Spanish football's export ambitions following Tuesday's announcement of a deal with social media platform Facebook to broadcast La Liga matches live in South Asia.